Ammon Shea, a 37-year-old former furniture remover in New York, spent 12 months conquering what he describes as the Everest of dictionaries, the Oxford English Dictionary (OED), by ploughing through 20 volumes, 21,730 pages and 59 million words (read more here). We can only guess how much of what he read has stayed between his ears, which is, at times, quite a challenge for our students. Luckily for the latter, though, their word lists are much shorter. We can use some magic formulae for helping words stick in the head trying to come up with clever associations, getting students to use definitions, determining a rate at which words should be learnt without falling out of their heads, creating some “brain surprises” (see more here), or resort to some oldies but goldies – word games. These are some pen and paper games that require next to no time to prepare and might be used to get students to look through their word lists again and again, and help them retain new vocabulary. This game can be played in pairs or teams. Every player should draw squares as shown below with 7, 6, 5, 4, and 3 squares. You can also introduce some other patterns – 8×8, 9×9, 10×10, or 11×11 squares, or even more, provided your students do not suffer from hippopotomonstrosesquippedaliophobia. 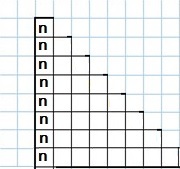 Then, one player thinks of a letter, for example the letter “n”, and the players write it diagonally in all the squares. 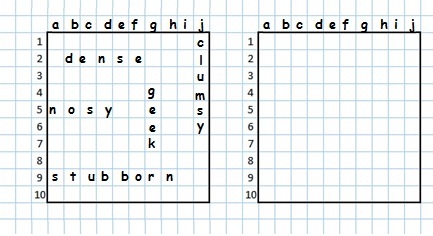 The aim of the game is to fill in all the squares with the words containing this letter. Encourage students to look through their word lists. The player who fills in all the squares first wins the game. If there are many players, you can also introduce the system of scores. Players read aloud their words. They get 2 points for each word that has not been used by anyone else, and 1 point for the word that has been used by other players. The player who gets more scores wins the game. Here’s a much easier version of the Squares. The aim of the game is to fill in all the squares with the words starting with a particular letter. The rules are the same as in the Squares. This game is for two or more players. Each player draws a table as shown below. You may introduce other categories depending on the level of your students. Players choose a random letter and fill in the table with words starting with this letter under different categories. If players cannot think of any word, they leave the column blank. The game stops after one of the players has filled in all the columns. 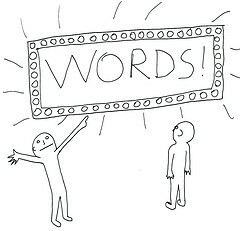 For each word not used by anyone else, players get 2 points; otherwise – 1 point. The game may have many rounds. The points received after each round are summed up. The player with more points wins the game. 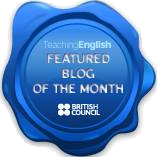 Alternatively, you can introduce categories such as noun, adjective, phrasal verb, verb, adverb, and encourage your students to use their word lists to fill in the tables. The first person to think of an answer for every category says “Stop!” Then he or she counts to ten, slowly: “Stop one! Stop two! Stop three!…Stop ten!” On “Stop ten,” all the other players should put their pencils down. All players share their answers for each category and keep score. Keep playing until a player reaches a certain number of points (it depends on the scoring system you use. See here). That person says “Stop!” and the game ends. Use the same rules as in the basic game of Battleship except that players should use 5-6 words instead of ships. 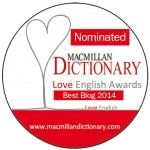 Again, you can refer students to the word lists and ask to pick the trickiest words. You may also have students use words with a particular number of letters or words belonging to a certain lexical category. This game can be played by 2-5 players. Draw a 7×7, 9×9, 11×11, or 13×13 square. Write a word in the center of the square (have students choose a long word from their word list). Then players should add one letter to the word to make a new word. The number of points corresponds to the number of letters in the word. The aim is to make a long word and get more points. The player with more points wins. Players make as many words as possible from a particular long word. This game could be played in pairs or teams. Ask students to pick the longest word from the word list and use it as a basis word. The player who makes more words wins the game. You can also have students read out their lists of words, one by one, crossing out the words that have been used. The player who gives the last word wins the game. 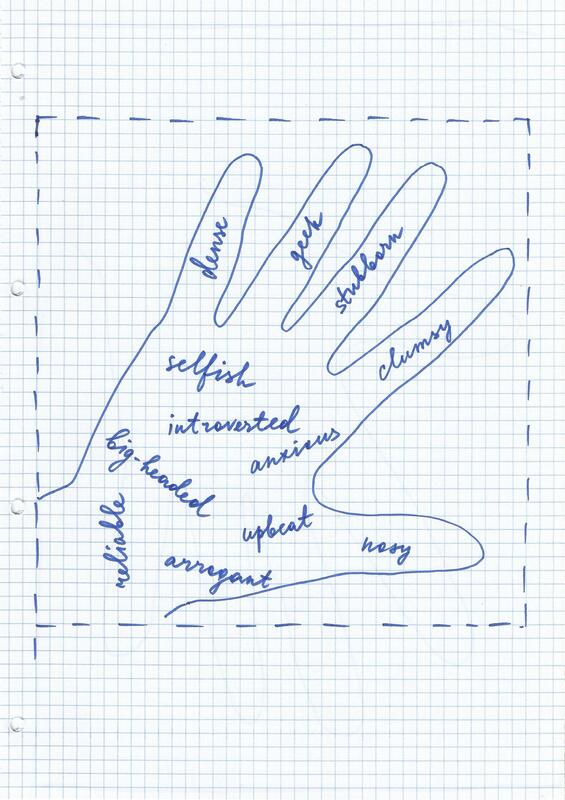 Ask students to draw around their hand (right or left). Have them pick and make a list of 12-20 words (you can use your own number of words) from the word list and think of their definitions. 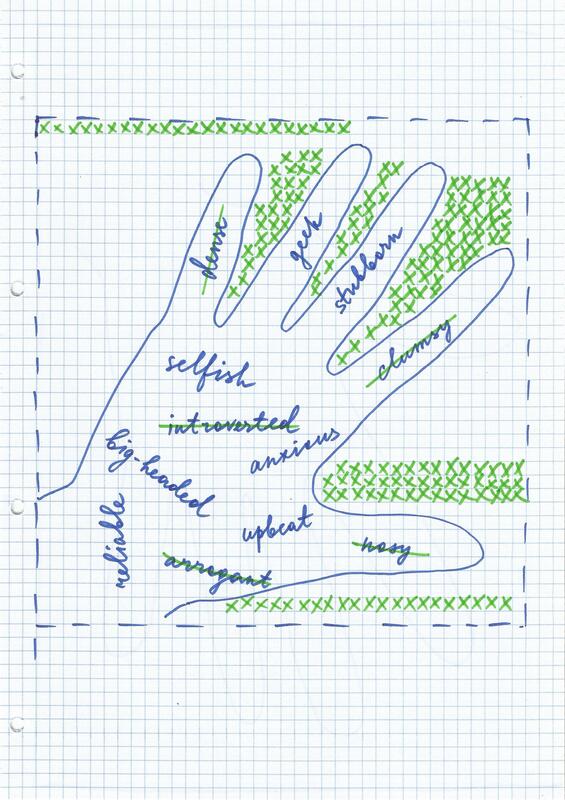 Get them to write these words in their “hand” and exchange the “hands”. Then the players, in turn, give definitions of words (or synonyms/antonyms). While one player is searching for the word, the other player is crossing out the squares around the hand. When the player finds the word, he/she names the word. If the word is correct, it’s his/her turn to give a definition of the word. The game continues till one of the players crosses out all the squares around the hand or finds all the words. If you teach primary school kids, you can use numbers or letters of the alphabet; or words belonging to certain categories. This list wouldn’t be complete without the good old Hangman. Please leave me a comment if you know a good paper and pen game. Here’s a touch of technology. If you need to generate a random letter for the game, you can use the ppt Lucky Dip Demo – Numbers designed by Tekhnologic. Just change numbers into letters. Wow! These are great! Thank you. thanks as always, great stuff! A few new ones in this for me – I love the squares one, will try it tomorrow. Hi Pete, thanks:) The Squares is a pretty challenging one; there’s an easier version – Triangle. I’ll try to add the description of it shortly. The “categories” game is our old friend Stop, all my students of all ages love it, and it’s a great vocabulary booster. Great news! Thank you so much, Ann! Great game! Thank you for sharing. Great simple and practical games to practise different language areas!